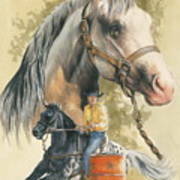 Appaloosa by Barbara Keith - 5.875" x 8.000"
Appaloosa art print by Barbara Keith. Our prints are produced on acid-free papers using archival inks to guarantee that they last a lifetime without fading or loss of color. All art prints include a 1" white border around the image to allow for future framing and matting, if desired. Congratulations Barbara. Your beautiful Mixed media image has been FEATURED on "Fuzzy, Warm and Soft"! Stunning! A girl after ny own heart. 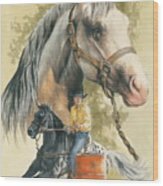 Origin: North America Description: Known for its unique spotted pattern, the Appaloosa is an American horse with a diverse genetic background. In addition to their signature leopard spot pattern, Appaloosas are known for having molting skin around their eyes and muzzle, as well as a white sclera, which is also known as the whites of the eyes. 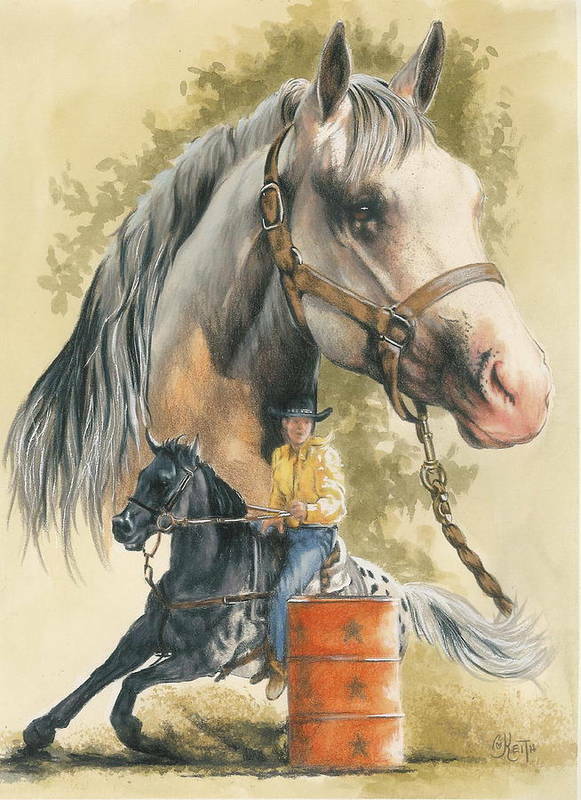 A versatile breed, Quick, compact, and mild mannered, Appaloosas are used in a variety of equestrian disciplines and have appeared in a number of Hollywood films. 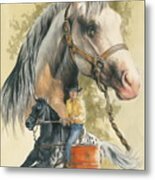 Throughout history, the breed has helped improve many other breeds, most notably the Nez Perce Horse and Pony of the Americas (horses.petbreeds.com).